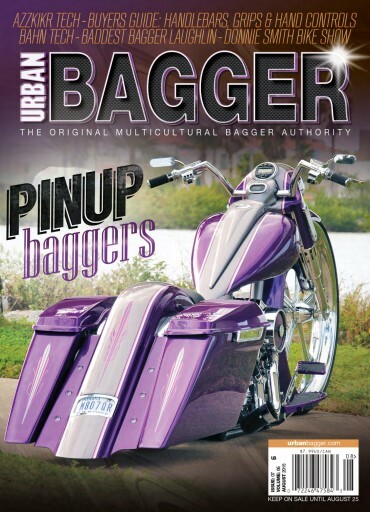 Pin-up Baggers is on the cover with their Baddest Bagger in Iowa 32" Road King.Buyers Guide for this issue are Handle Bars and Grips and Hand Controls. install articles are featured on Azzkikr Neck Rake, Lindby Custom Multi=Bar on a Victory Crossroads. Insane Asylum Motorsports rear end Make over, Akropovic 2:1 exhaust and Bahn Accessories. Events covered are the Donnie Smith Bike/Car Show and Parts Extravaganza, the Baddest Bagger in Minnesota and the Baddest Bagger in Laughlin.